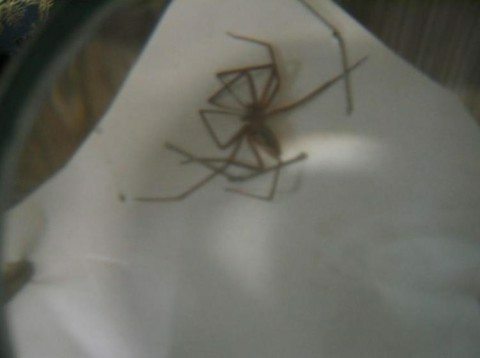 First, is something that came to me via e-mail about a brown recluse spider bite, including pictures that show what a brown recluse spider bite looks like AND what a brown recluse spider itself looks like. 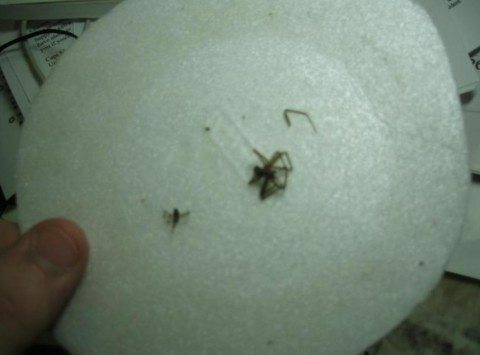 Below that, you’ll find photos of a brown recluse bite that were submitted by one of our readers. 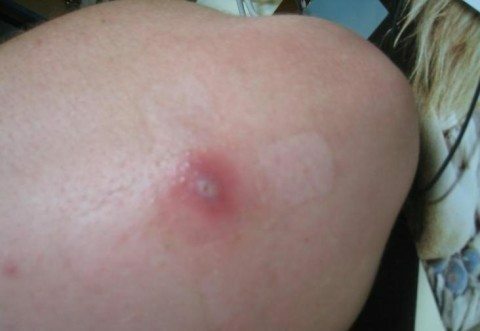 Take a look at the email below and the attached pictures of a guy who was bitten by a Brown Recluse spider. 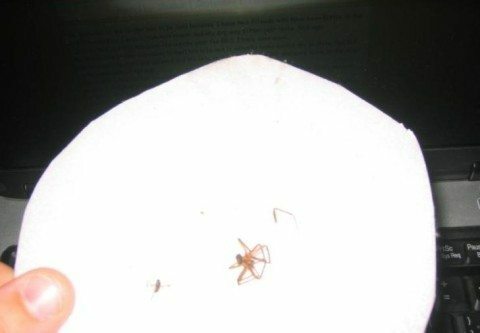 Take a look at the last one — it is a picture of the spider itself. Now we all should know what to look out for. This would be a wise thing to know as it is almost summertime and people are going to be digging around doing yard work, and spring cleaning. 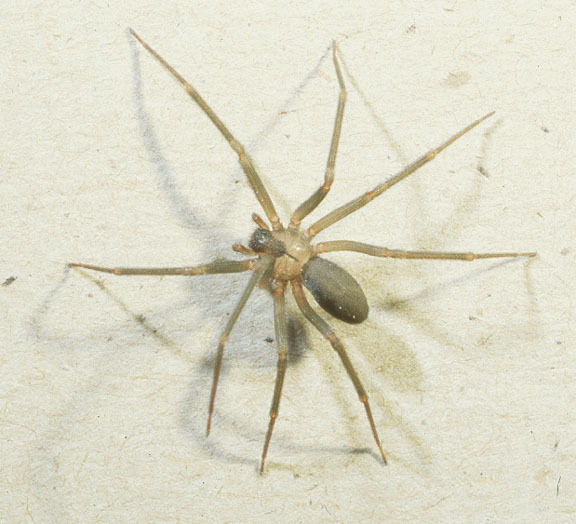 FYI – Brown Recluse spiders like the darkness and tend to live in storage sheds or attics or other areas that might not be frequented by people or light. If you have a need to be in your attic, go up there and turn on a light and leave it on for about 30 minutes before you go in to do your work. The following photos were submitted by one of our readers, Charles (see September 8, 2006 comment below). 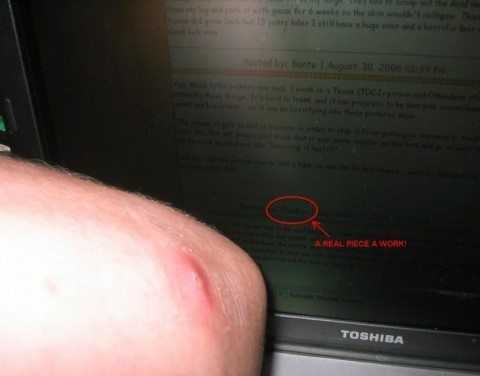 His photos show the spider bite and the actual spider that bit him. Fortunately, Charles sought treatment for this Brown Recluse spider bite. Good news… you can get a FREE Spider Chart to help you identify spiders in your area, plus First Aid tips for treating spider bites!